The ID‐IA project is a process of coupling Italian and Slovenian ID local auctions which can be repeated for more than one session. In particular, initially the Italian ID sessions of MI2 and MI6 are coupled with correspondent sessions of the Slovenian ID auctions, which are launched concurrently with the launch of ID‐IA project and, in a further stage of development, it may be extended also to the other MI sessions. The structure of the ID‐IA project is designed and implemented on the basis of principles and experiences already gained from the IBWT project and the previous Bilateral MC on IT‐SI border. Timings for running implicit intraday auctions are directly derive from Italian Intra‐Day market (MI) sessions. 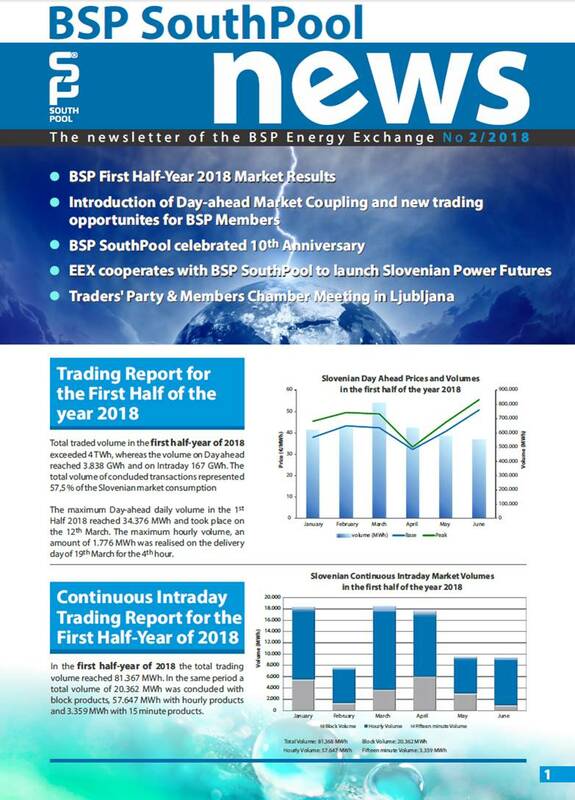 Market Participants have benefit of the possibility to trade with hourly products on existing trading platforms managed by both the Italian and Slovenian PXs. The ID‐IA project might be potentially extended to other Italian borders and, relying on an auctionbased coupling mechanism, is therefore aimed to be a regional auction complementing rossborder implicit allocation mechanism based on continuous trading, according to the provision of art. 63 of CACM regulation. Mandatory field Security Question* Please calculate 7 plus 6.